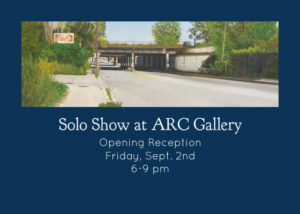 ARC Gallery is at 2156 N. Damen, Chicago, Illinois. Show runs from 8/31 through 9/24. Gallery is open Wednesday through Saturday, noon to 6 pm.